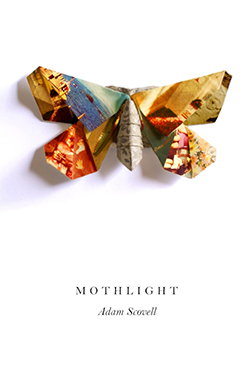 Adam Scovell discusses writing Mothlight. 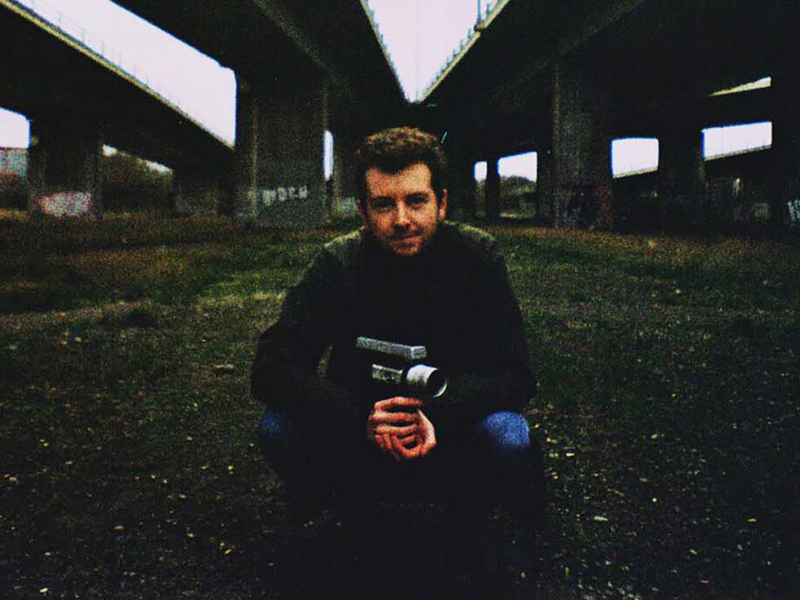 Adam Scovell is a writer and filmmaker from The Wirral. He is currently based in London, where he recently completed a PhD at Goldsmiths. 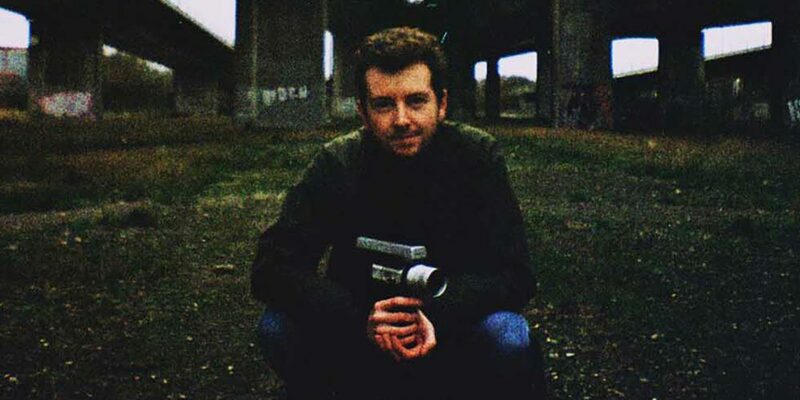 Scovell has been writing about film and art at his blog, Celluloid Wicker Man, since 2012, and his work has also appeared in such publications as The Times and The Guardian. To date, he is the author of two books: the monograph Folk Horror: Hours Dreadful and Things Strange (2017) and, most recently, Mothlight, his début novel, published by Influx Press. In reviewing Mothlight for Splice, Daniel Davis Wood called it “a dark little novel of unaccountable power… dense with disturbing ideas, textured by subtle shifts in mood, and exacting in the execution of its ornate technicalities.” Throughout January, Daniel engaged Adam via email to discuss his inspirations and practices. Tone is one of the most powerful elements of Mothlight. It is dark and sombre, and it comes through a combination of the imagery and the narrator’s descriptions of the atmosphere, the attention he pays to the colours of things and the arrangement of space. And the feeling of the tone doesn’t seem too far removed from the interest you’re best known for: folk horror. Did you set out to write a work of folk horror once you’d found your subject, consciously making a contribution to this subgenre? No, I’ve wanted to generally get away from it. The closest tie-in to Mothlight in terms of theory is probably Hauntology — and even then, it’s more about the specific mechanism that Mark Fisher, in particular, set out for Hauntology, rather than the nostalgic music genre it has become in recent years. Mothlight is more psychologised than horrific. Can you elaborate on how Fisher’s work informs Mothlight? Fisher writes that a haunting “happens when a place is stained by time, or when a particular place becomes the site for an encounter with broken time”. But in Mothlight it often seems as if places are “stained” by other places from other times, not always earlier versions of themselves, so that they overlap in hallucinatory ways. Were you aiming to twist or push forward Fisher’s concept like this? I always come back to the binary of Fisher’s when he first tried to figure out the different relationships between past, present, and future in Ghosts of My Life, rather than his specific theories regarding haunting, at least in Mothlight. For Fisher, Hauntology is either something from the past recurring or remaining to augment the present, or some futurism not yet happened but which is already augmenting the present. Both of these are narrative devices, within the worlds of the work he discusses, but the trend in general Hauntology is to simply insinuate the presence of a world and create something supposedly from within it; the so-called sense of “lost futures” in particular. I imagine that the epistolary novel could possibly work with the latter. But, in general, conforming to the latter rather than former binary often allows for a creeping nostalgia to enter the work, which goes against a lot of what Hauntology was about cutting through. So, in Mothlight, the sense of haunting comes in particular from the past, in the form of memories — sometimes my own — rubbing against the contained memories in the photographs used in the text. Place is important but more as an indicator of a collapsing sense of the past and the self; as if another person’s memories of such places are overriding the actual memories of the protagonist. What about the prose style, and the way it contributes to the tone in conjunction with imagery and the narratorial perspective? There’s clearly a bit of W.G. Sebald in there, maybe some Teju Cole, but were there other models for Thomas’ voice? Where did it come from? I think the majority of the voice techniques come from European fiction of the post-war period. Sebald was and always will be the biggest influence on my writing, but the main voice that dictated the OCD recursions in Mothlight was Thomas Bernhard. I don’t think I’d have the bottle to write fiction the way I do without having read him, and he’s probably the closest a writer has come to recreating my own “head voice”. In particular, the way Bernhard uses repetition to lock you into the tics and worries of his narrators is really quite astounding, and you can definitely see what Sebald took from his writing as well. Teju Cole was another influence, generally. I love how he is building on the use of the photographs within prose, as well as his mental and physical meanderings. I loved Open City, and reading one of his essays on Sebald from Known and Strange Things whilst in Strasbourg created one of the most uncanny reading moments of my life, though I won’t say why. What’s interesting about these techniques for creating the tone is that they’re all interleaved with the material on entomology and lepidopterology. What drove your research into this area? I’m by no means an expert on moths at all, but they were definitely one of my first interests and a lot of moth-themed parts of the book needed only clarification rather than research as it was all embedded within me from childhood. An entomologist was the first thing I wanted to be, and I still absolutely adore moths in particular. My Christmas present from my father last year was a beautiful print of an illustration by a wonderful insect artist called Richard Lewington. It was of a poplar hawk moth, which admittedly was a bit of an eerie coincidence considering that my father still hasn’t read the book yet and doesn’t know of the significance of that moth in Mothlight. So, then, was there ever a risk, in your judgment, that the research material you did rely on would overwhelm the rest of the novel? Did you have models for striking a balance between research and narrative, too? Yes, I love books that balance theoretical writing and fiction anyway. It probably comes from Sebald and Bernhard, but also on feeling a likeness between the stories of Jorge Luis Borges and the writing of someone like Jacques Derrida, in which they both spin you round with words and ideas until you’re utterly dazed. I think the writing I generally like is being referred to as theory-fiction these days; those writers who refuse to adjust their techniques and perspectives of their works to suit one or the other. I suppose Mark Fisher partly comes under that in some sense, though so do other writers whose work I love, like Julia Kristeva, Georges Perec, Roland Barthes, etc. I imagine my leaning towards this will be more apparent in my next book, which mixes theory and fiction a lot more openly. Can you say more about the direction you’re taking with new work? Given that you’ve started off with a novel that pushes its form in such unusual directions, where do you go next? Do you abandon the first-person voice, or go for a broader cast of characters, or move differently through time — or what? I think I’m simply going deeper into that form through examining those parameters of voice, especially as photographs always seem to open up new pathways down which a narrative can go and whose perspective we eventually see it from. The next novel is dominated by another manic, melancholic narrating voice, but it’s interspersed with fragments of academic history, real and fake, that seem to be the research about Strasbourg that the character is undertaking as a replacement for the mourning of her father. The first-person voice evolves further in the next one, too, in that it switches between two very different types of anxiety within the same person; the younger voice is dealing with the horror of the past and the fantasies that revolve around it, and the older voice is looking back on the places where those bad things happened, through the broken prism caused by such events. Mothlight is only the beginning of pushing those voices to the edge. Yeah, that’s partly right. The writing of Mothlight forced the process to be honed in regards to both the responses to the photographs and the techniques of the voice locking you into its world. I won’t say much about the next book for now, but I found it necessary to focus on voice as the next book is less autobiographical and doesn’t have the experiential elements that helped with writing Mothlight, I actually went out around Strasbourg in character, walking and walking for months until things began to be noticed, things such as buildings and plaques, or until conversations genuinely sparked up or were witnessed. I’ve basically acted out a vague version of the next book so that its base retains that sense of authenticity naturally present in Mothlight due to the real memories that underpin the story of Phyllis and Thomas. That’s fascinating — like the literary equivalent of method acting. And it makes sense that that’s something you would do, if you didn’t have the same base of memories to work with as you did when writing Mothlight. Does this mean that there was something cathartic to the writing of Mothlight, if it involved discharging banked-up memories? Or is there something cathartic about it when you reflect on it as a completed work? The real catharsis came from dealing with my move from Merseyside to London, more than anything else. In the early stages of the research and collecting the photos together, I moved from Liverpool to South London as my PhD transferred. As I’d lived on Merseyside my whole life, it was a pretty big tear — so much personal stuff collapsed around it that I can’t quite believe it all happened in around six months — and so the best way I found to navigate it was to put my characters in a similar situation, where they’re constantly and exhaustively drawn back and forth between north and south, physically and mentally. It was certainly a little mean on my part, but there was something in making the characters go through those motions that made me feel less alone in that moving process, and I was soon a lot happier. Thomas, on the other hand, is always haunted by the potential of somewhere else and what it could perhaps mean to his own being; there’s a reason why he’s named after the character from Michelangelo Antonioni’s Blow-Up. I look back on Mothlight now mostly as a bridge between places and states of mind. But it’s good to look back and be on the other side of that bridge.